Learn more about train travelling to Andorra. 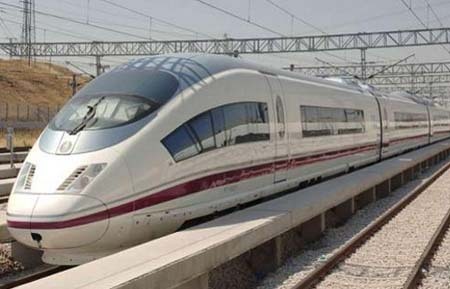 Trains to travel to Andorra from Barcelona. Travelling by train is a common way of getting to Andorra. Train journeys are normally comfortable, but require you to take a bus or taxi, since the Principality of Andorra does not have any train station. The cities with train stations and daily services to Andorra are Barcelona (Sants Station), Lleida (Lleida Pirineus Station), Toulouse (Matabiau station), and Hospitalet (Andorra-Hospitalet Station). As a tip, of you depart from Barcelona, you should take the train to Puigcerdà, and then the bus to Seu d’Urgell-Andorra. If we depart from Madrid, the best way is to take the train to Lleida and then the bus to Andorra. If you wish to contract a transfer service (a chauffeur-driven private vehicle) from the airports, train or bus stations of Barcelona, Lleida and Girona to Andorra; do not hesitate to ask for an indicative budget from here.